Our dance wear shop is a leading specialist in dancewear in Devon. The Costume Box at Danceworks stocks a wide range of quality dancewear across all genres at competitive prices. Visit us at Newton Abbot shop for a wide choice of leotards, cardigans, dance skirts, dance tights and dance costumes. 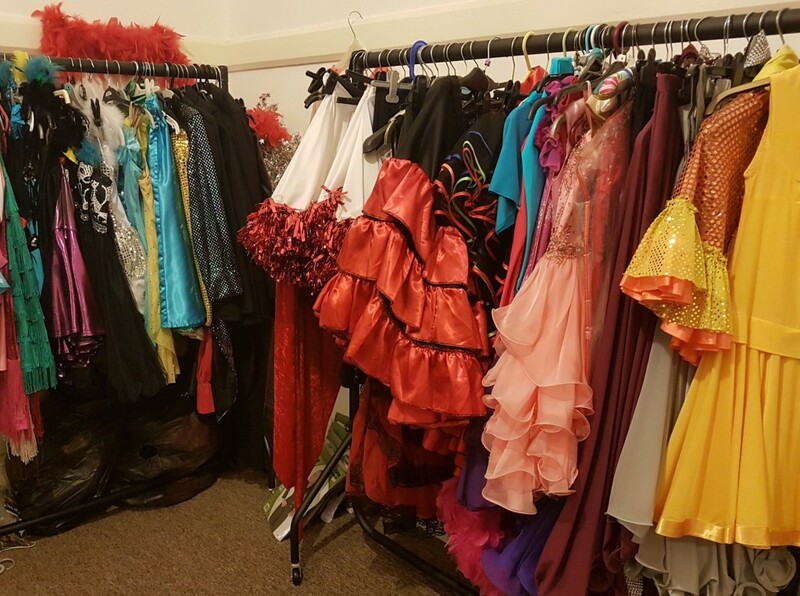 You can also hire dance costumes and show costumes from The Costume Box. Why not pop in next time you’re in the studio? Please call ahead on 01626 365112 to make an appointment if you are making a special trip, as we are often teaching. Whether you’re a keen beginner or a professional dancer, you are sure to find what you’re looking for at The Costume Box! Please visit our contact page for directions and opening times.